We just have one day and a half to go until Guardians of the Galaxy hits theaters for its Midnight preview, which is happening tomorrow night in theaters across the country. Marvel and Disney show no signs of slowing down the hype machine, hoping to get you excited and sitting in that seat! We have our fifth story of the day, which just happens to be a shortened version of the trailer recreated in LEGO bricks. 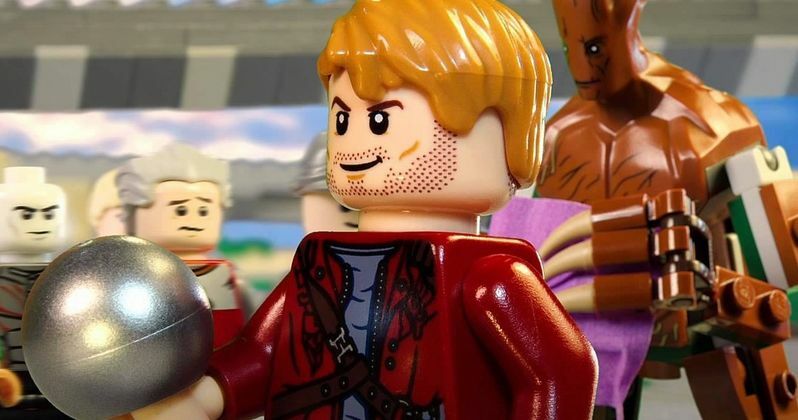 Check out this new piece created by Marvel and Lego fan, YouTube star Forrest Whaley, which introduces our team of assassins, thugs and thieves in plastic form! We also have a new TV spot that calls Guardians of the Galaxy this generation's Star Wars.